Located in the historic centre of Canandaigua, New York, this bed and breakfast offers free Wi-Fi and a large front terrace with wicker furniture. Canandaigua Lake is 4 minutes’ drive away. The 1840 Inn on the Main offers rooms decorated in rich colours and antique furnishings. They feature a cable TV with DVD player and en suite bathroom. A private flat is also available and has a full kitchen and separate living space. A full breakfast is served every morning at the Inn on the Main 1840. Enjoy homemade snacks in the afternoon while admiring the inn’s garden and fountain. Sonneberg Gardens and Mansion State Historic Park is 12 minutes’ walk from the bed and breakfast. New York Wine and Culinary Center is 2 miles away. This Canandaigua resort offers an 18-hole golf course, internet services, and rooms that feature a fireplace. Bristol Mountain Ski area is 8 miles away. Cabin themed rooms feature cable TV and lake views. An en suite bathroom is also provided at Bristol Harbour. An all season restaurant serves breakfast, lunch, and dinner. Guests can swim in the seasonal outdoor pool or workout in the fitness centre. A spa along with a business centre is also available. Bristol Harbour Resort is 11 miles from Roseland Water Park. NYS Wine and Culinary Institute is 20 minutes’ drive. Located 1 mile from Canandaigua Lake, this motel boasts free Wi-Fi access and a daily continental breakfast. Skiing at Bristol Mountain is 16 miles away. Each guest room at the Red Carpet Inn & Suites Canandaigua features cable TV, a microwave, and a refrigerator. Suites have a living area with a sofa and a kitchenette. 24-hour front desk services are available to guests at the Canandaigua Red Carpet Inn. Laundry facilities and room service are also offered. Roseland Waterpark is half a mile from the motel. Finger Lakes Racing Race Track is 9 miles away. This charming bed and breakfast located in Canandaigua, New York offers free Wi-Fi and uniquely decorated rooms equipped with a half canopy bed and an en suite bathroom. Bristol Mountain Ski Resort is 11 miles away. 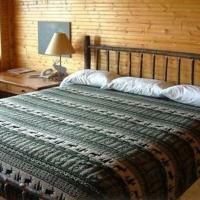 Satellite TV is offered in each individually decorated room at Chambery Cottage B&B. Select rooms feature a fireplace, seating area, or a spa bath. Breakfast is served each morning from the organic garden and it features hot coffee or tea along with fresh fruit and pastries. Guest s can relax on the porch area or in the parlour area that offers a reading library. Barbecue facilities are also available. Chambery Cottage is a short drive away from a variety of wineries in the area including Heron Hill and Arbor Hill Winery. A selection of dining options is also nearby. Less than one mile from Lake Canandaigua, this Holiday Inn Express hotel is a 5 minute drive from Canandaigua Lake State Marine Park. The hotel serves a continental breakfast each morning and there is free Wi-Fi. Guests staying at the Holiday Inn Express Canandaigua can enjoy swimming in the indoor pool. The hotel also has a business center and a fitness center available. A cable TV, refrigerator and microwave are provided in the rooms at the Holiday Inn Express Canandaigua - Finger Lakes. Some rooms have a sofa bed. The Sonnenberg Gardens and Mansion State Historic Park is 4 miles from the hotel. The Constellation Brands - Marvin Sands Performing Arts Center and the Finger Lakes Community College are within one mile of the property. Located a 10 minute drive from Canandaigua Lake, this Finger Lakes Region bed and breakfast offers free kayaks for use at the on-site pond. A full country breakfast is served every morning. Each uniquely decorated guest room at The Bella Ella Bed and Breakfast has a flat-screen TV and a refrigerator. 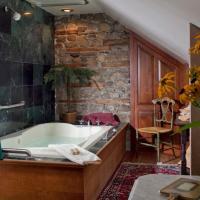 A whirlpool bathtub and a fireplace are included in the suite. Guests can relax on the rocking chairs on the front terrace. The Canandaigua Bella Ella B&B has a living room with wood burning fireplace. Dinner cruises and lake tours are 5 miles away. 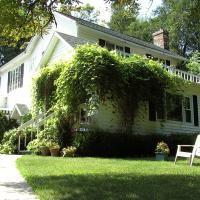 The Granger Homestead and Carriage Museum is within a 5 minute drive from the bed and breakfast. In the New York Finger Lakes region, this historic bed and breakfast features a massage parlor and charming rooms with a fireplace. Canandigua Lake is 3 miles away. Morgan Samuels Inn Bed & Breakfast includes uniquely decorated rooms with a spa tub and antique furnishings. All rooms have a private bathroom and free Wi-Fi access. Guests can relax in the large common room by the fireside, or read a book in the library. The Canandigua Morgan Samuels B&B has a spacious glass-enclosed terrace. Free airport shuttle services are available. Dinner is available in the dining room each night and a candlelight breakfast is served in the mornings. Granger Homestead and Carriage Museum is 4 miles away. The property is 11 miles from the Finger Lakes Racetrack and Gaming Center.